The Autobots may forever wage a never-ending war against the evil Deceptions, but their real enemy has always been Michael Bay. The infamous director behind all five of the previous big screen Transformers outings has long been a controversial figure in the world of the fandom, using the beloved stories and characters as vehicles (literally and figuratively) for his bombastic, loud and chaotic trademark style. Every single movie in the franchise lacked coherence and pushed the limits of good taste on more then one occasion – suffice to say, none of them were ever any better then bad. Bumblebee goes some way to making up for that. With Kubo and the Two Strings director Travis Knight in the director’s chair instead of Bay (though Bay does take a producer’s credit), Bumblebee relocates the story to the 1980’s, focuses its story on the franchise’s most popular character by keeping the story small and accessible, and grounds the film in a more welcoming, family-friendly way. Opening in the heat of battle on Cybertron, it’s immediately clear that the quality is on the up-and-up. The CGI fight scenes between the various Transformers (here sporting their classic Generation 1 designs in a nice nod to the fans) are more fluid, sharp and intelligible then the junkyard mash-ups of previous instalments. After that excellent opening, we relocate to Earth, where we are introduced to Hailee Steinfeld‘s Charlie, a teenage loner with a penchant for fixing up old cars. 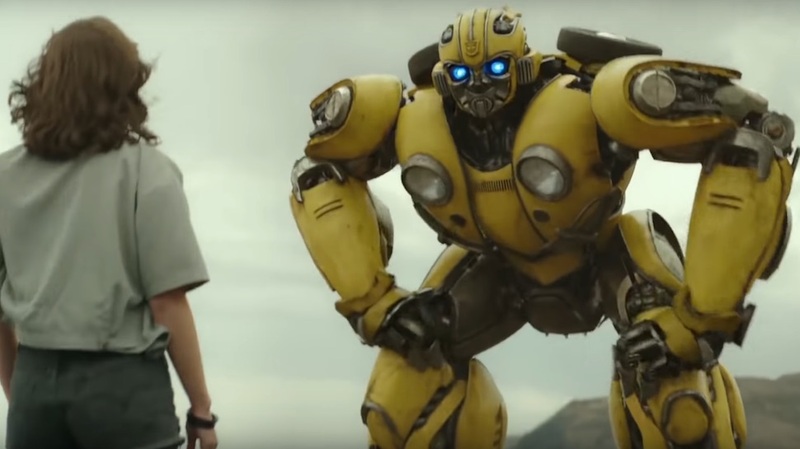 When her new car turns out to be Bumblebee in disguise, a friendship between the two begins to develop, a friendship that is subsequently threatened by both a shady military force led by Jack Burns (John Cena) and the arrival of two Deceptions on the hunt for Bumblebee (voiced by Angela Bassett and Justin Theroux). Within just ten minutes of her first appearance, Charlie proves herself to be the best female protagonist ever featured in a Transformers film, mainly on account of her personality (basically, she has one!). Steinfeld imbues the character with all the endearing attributes an 80’s tomboy should have, whilst also bringing some much-needed heart and humanity to what has always been a very sterile set of films. Coupled with sweet and occasionally amusing antics of Bumblebee, the pair make for an unorthodox but watchable team. Knight rightly does away with the mean-spirited, pornographic aspects favoured by Michael Bay, instead bringing genuine charm and a sense of childhood, Spielberg-esque wonder to the story. There are few jokes that don’t land as well as they should, but nothing here is as crass or as dumb as previous efforts. Standing on its own and out from the shadow of its cinematic predecessors, the film finds a decent emotional hook and uses it to great effect, whilst balancing the action and the gags appropriately. It’s small in scale, for sure, but this mostly works. That said, the plot is paper-thin but not to the extent that the film is boring. A lot of what we see here is a soft retread of what has gone before, only this time it’s played a lot straighter. A lot of the key scenes are incredibly cheesy though, whilst the constant riffing off of classic teen movies begins to grate after its done for the fourth or fifth time (obnoxious blonde bullies and nerdy sidekicks are aplenty here). The 80’s setting is rather superfluous too, mainly used as an excuse to use the original G1 designs and pepper the soundtrack with tons of retro classics. That’s fine, but again, it does feel like this has been used as a way to paper over noticeable cracks in the film’s plot, not enhance them. These issues aside though, Bumblebee is exactly what the Transformers film should have been from the get-go, especially in terms of tone and style. Travis Knight brings an emotional maturity to the story where it counts, whilst the action scenes and and the more comedic aspects are some of the most enjoyable we’ve seen in the series yet. 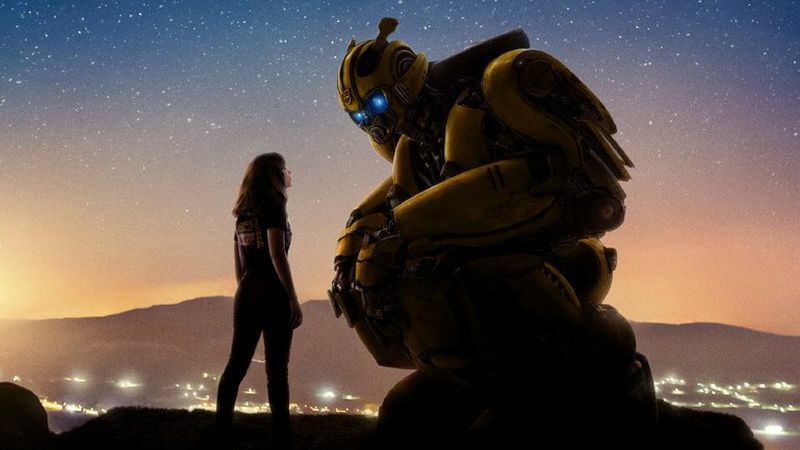 Free from Bay’s more hedonistic tendencies, Bumblebee offers a tantalising glimpse as to what the Transformers franchise could be like with some tender-loving care. Bumblebee is released in UK Cinemas on 24th December, with previews on 15th and 16th December. Tags: Angela Bassett, Bumblebee, Dylan O'Brien, Hailee Steinfeld, Hasbro, John Cena, Jorge David Lendeborg Jr., Justin Theroux, Michael Bay, Paramount, Peter Cullen, Steven Spielberg, Transformers, Travis Knight. Bookmark the permalink. Previous post ← Avengers: Endgame and why you must see it in IMAX!